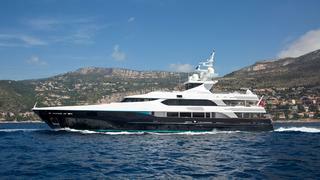 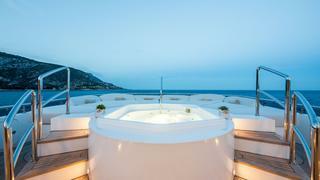 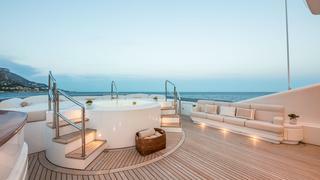 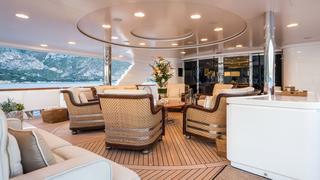 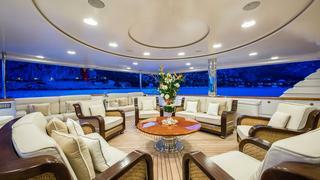 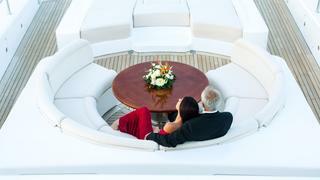 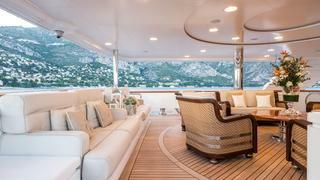 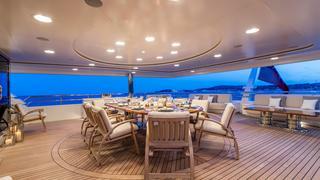 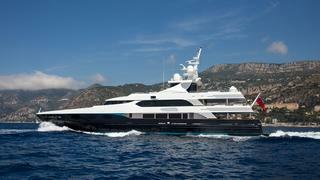 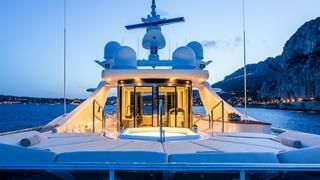 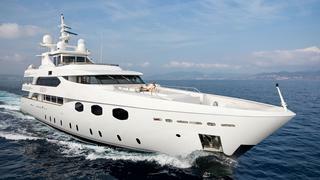 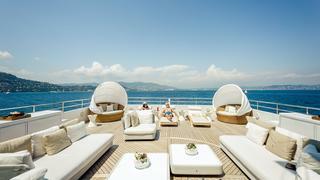 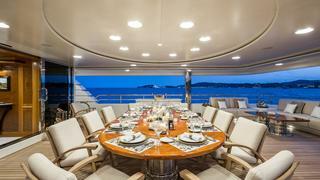 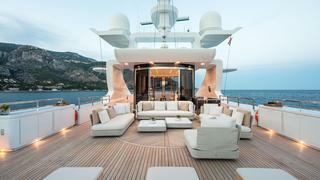 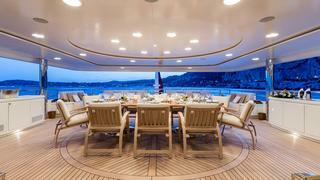 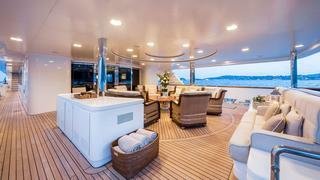 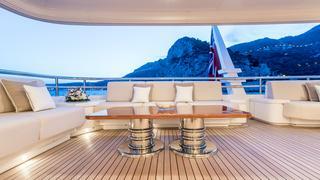 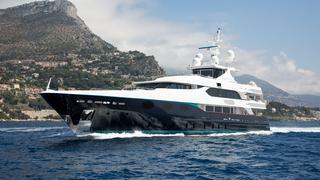 Eleni is able to welcome up to 12 guests, in six luxurious cabins. 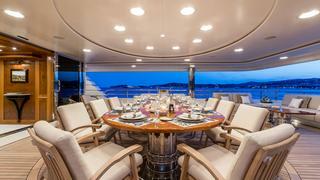 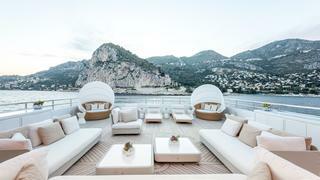 She is also an excellent choice to charter for static events and can host up to 50 guests when docked. 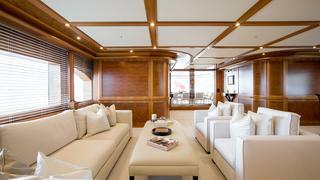 Designed to be opulently relaxing, her interior is by Italian designer Luca Dini and features light cream furnishings paired with beautifully carved dark wooden paneling. 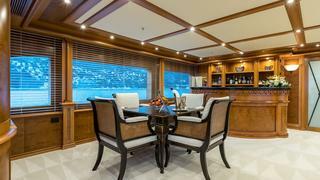 All guest cabins are spacious and light – the perfect retreat at the end of a busy day on the water! 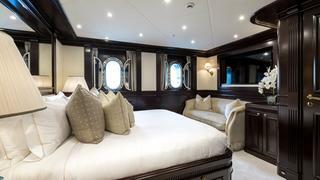 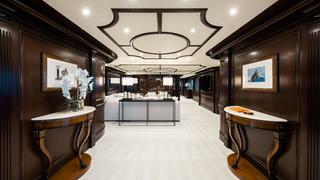 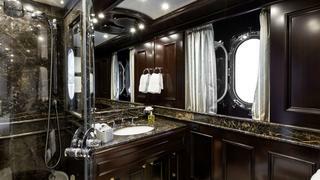 The full beam main deck King master cabin is an especially impressive space, with his and hers bathroom, a large dressing room and an adjoining study. 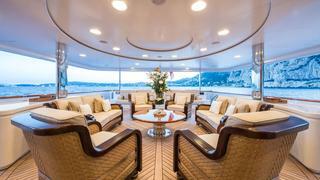 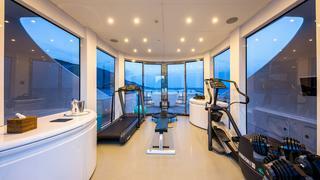 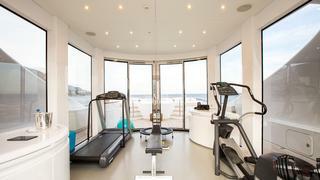 Other accommodation options include a double on the upper deck plus two VIPs, a double and a twin on the lower deck. 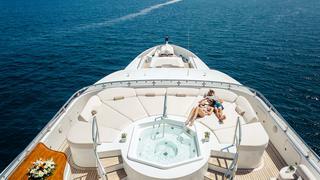 All guest cabins are ensuite, and the master and VIPs both have Jacuzzi tubs, and modern AV systems are installed in every cabin. 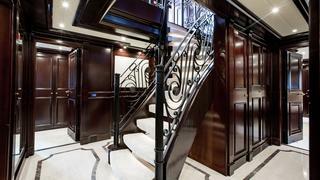 An elegant stairwell connects the main and lower deck for easy movement around the yacht.